This is a guest post by Gordon Ambrose from The discerning man's squatch. Stop by his facebook page and give it a like. Gordon is a bigfoot enthusiast who employs critical thinking when looking at bigfoot evidence. It is likely that the first conception of Bigfoot in North America came from the natives here way before white man ever set foot on this continent. It is at least certain that there were legends and stories of a large hairy man like creature prior to its settlement. Most all of the Native American tribes of the Northwest believed this creature was as real as the bears ...and eagles that roamed and flew over their lands, but their opinions were mixed as to its demeanor. 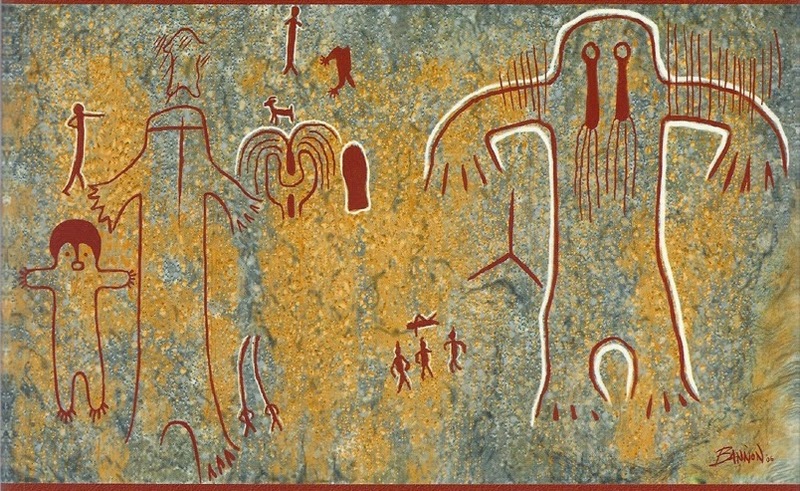 Within the Native Americans culture, unique abilities and strengths of other species were looked upon as an ideal that were often considered next to perfection and sometimes referred to animal archetypes as elder brothers or teachers of man. Those animals that most closely resembled man were given the same respect as they gave their own brothers and were one of the reasons the Northwestern tribes did not eat bear meat. Sasquatch was one such creature that was held with reverence and was thought to have both an “animal-style consciousness and human-style consciousness”. Here is a quote from a Gayle Highpine, a Kootenai Indian who wrote a paper in 1992 concerning her interpretations of Bigfoot in her culture. "But, special being as he is, I have never heard anyone from a Northwestern tribe suggest that Bigfoot is anything other than a physical being, living in the same physical dimensions as humans and other animals. He eats, he sleeps, he poops, he cares for his family members. However, among many Indians elsewhere in North America... as widely separated as the Hopi, the Sioux, the Iroquois, and the Northern Athabascan -- Bigfoot is seen more as a sort of supernatural or spirit being, whose appearance to humans is always meant to convey some kind of message." 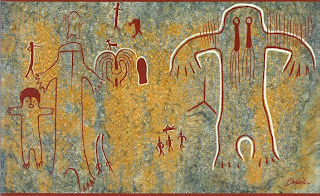 Many tribes considered the big man as an omen of bad things and others a creature that would bless them if encountered. Considering there were close to 4,000 different American tribes over the course of history with different and varying beliefs, I am only going to focus on the Clallum Indians and their special brand of Sasquatch, the Seeahtik otherwise referred to as the Mountain Devils. The first documented account of the Seeahtiks was in 1924 in the Pacific Northwest where a group of prospectors were attacked by giant hairy rock throwers that destroyed their cabins and scared them off. However the Clallum Indians have a much longer history and oral tradition, which they kept to themselves for several reasons. One was out of embarrassment of their history with them, the other out of fear of not being believed and not wanting to be labeled a liar. The Clallum Indians in fact considered the Seeahtik another Indian tribe (“Giant Indian”), one that had been skipped over in evolutionary progress and were more animal than man. They grew to 8 feet tall and were fully covered by hair “just like the bear”. They were mischievous and practical jokers that would take what they wanted and would not tolerate retaliation. In fact the Clallums after killing one for stealing one of their women, believed that the Seeahtiks had a rule where they would kill twelve of them for every one of their own lost. They were not to be trifled with. Contradicting Gayle Highpine 69 years later that the Northwestern tribes did not consider Sasquatch supernatural, in the 1924 story, Jorg Totsgi, a Clallam Tribesman stated, that they were known to kill prey with hypnotism and could speak the bear and bird language and were ventriloquists that were able to throw their voices. It may be that there is a better understanding today of such things for the differing interpretation years later, as we all today have answers to many things that once were mysteries delegated to the supernatural. Jorg Totsgi also said he had thought they had gone extinct years ago, but the description by the miners of ape like men and their mode of attack could only be the “Giant Indians” known as the Seeahtiks. So it seems Native Americans are as diverse in their beliefs of Sasquatch as many of us. I personally like and adhere to Gayle Highpine’s concept of Bigfoot as an animal living in the same physical dimensions as humans, that eats, sleeps, poops and cares for its family, but I can appreciate the poetic descriptions of something that is beyond our understanding. It is a core proponent of all oral traditions to add flair with flamboyant descriptions and metaphors so that the story will be remembered and passed down for generations. The important thing to consider is this is just one of many tribes and their experiences with the big man. There are many interpretations as to what Sasquatch is and represents and we see that in our own journey. There have been centuries now of tales and conjecture on what many only claim is a myth, but there may be a need that Bigfoot fills in us that the Native American knew only all too well, and is why its stories are still being told as clearly as they were a hundred years ago. I of course barely touched in this article the Seeahtiks and will leave further exploration up to you. I found the rock throwing that is something we hear a lot today interesting, and it could be that the miners were in fact attacked by people that were in competition for that claim. 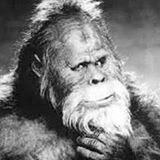 However, that Jorg Totsgi came forward with his retelling of the Clallums experiences, makes it fascinating and compelling that there may have been a creature still around in 1924 from the Seeahtik tribe, known today as Bigfoot. Bigfoot Movie Now Available on indieflix! Could dog be Bigfoot's best friend too? 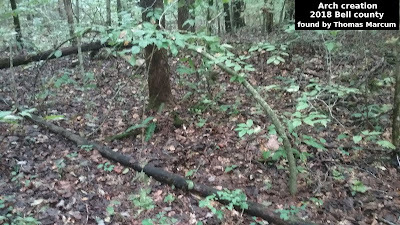 Do we lose Bigfoot by finding Sasquatch? Did Bigfoot Shake A Pick Up Truck? New Species and More Waiting to be Discovered!